Last weekend 2013/14 BBM Youth Support Awardee for Golf, Cameron Davis, won the Australian Open by one stroke. 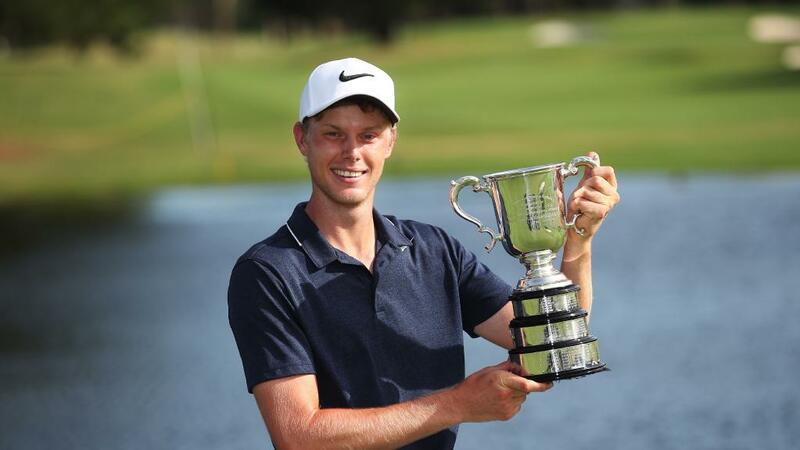 As reported by the Associated Press, Cameron Davis came from six shots behind going into the final round to win by one stroke on Sunday, shooting a 7-under 64 that included a birdie on the 18th and an eagle after holding a 100m approach shot. It’s wonderful to look back on these words and see that Cameron’s dream became a reality. Although we are no longer able to offer sporting awards, we always enjoy watching our past awardees fulfill their goals and dreams and are proud that their BBM Youth Support Award helped them on the way to success.